In 1988, a man named François Pasquier wanted to have an outdoor dinner with friends at Bois de Boulogne park in Paris. To help them find each other, he asked everyone to dress in all white. And so Dîner en Blanc was born. 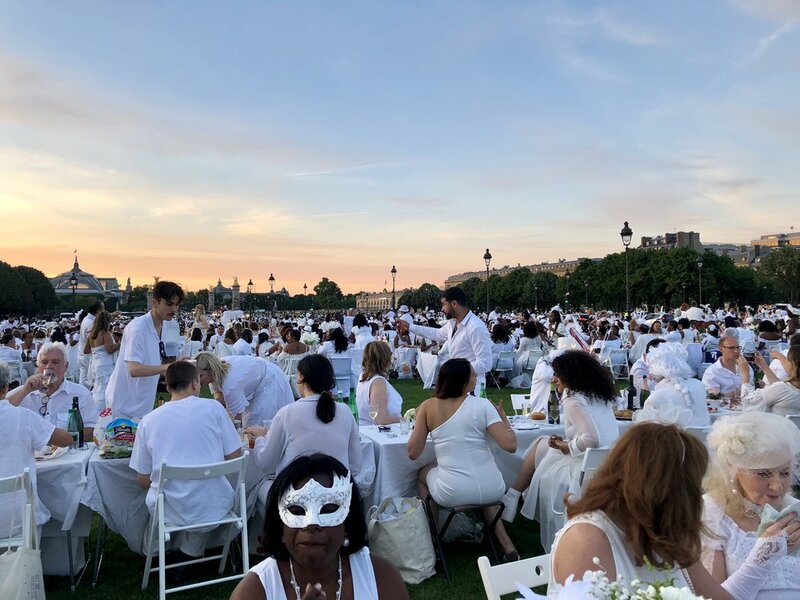 Hundreds of thousands of people in more than 70 cities across six continents dress up in all white to dine together in a public location. 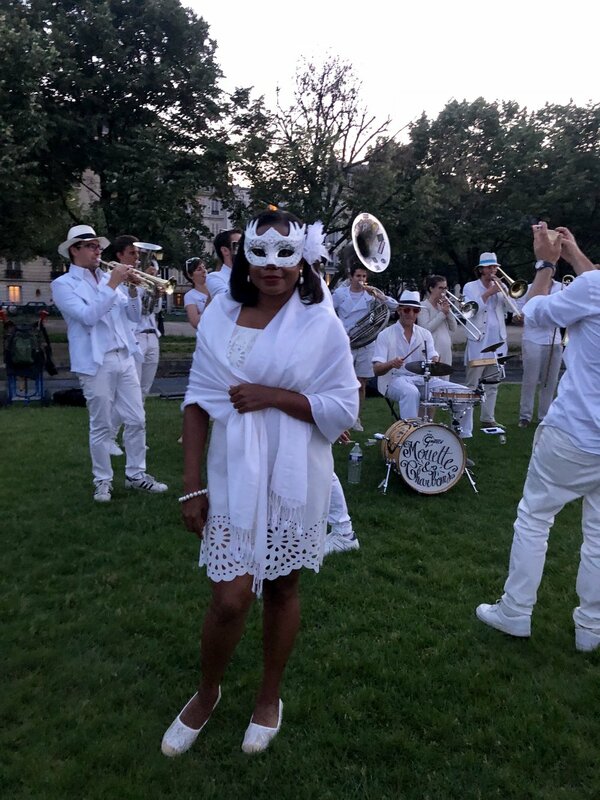 Thirty years later, Dîner en Blanc (which literally translates into Dinner in White) has turned into a global event – hundreds of thousands of people in more than 70 cities across six continents dress up in all white to dine together in a public location. The process to attend is detailed but straightforward: people who want to go to a Dîner en Blanc event sign up online on the waiting list. 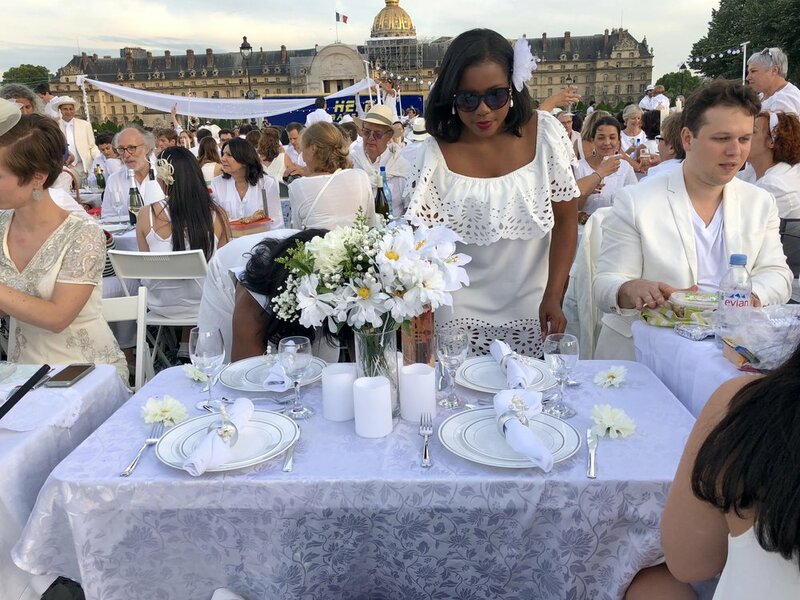 They’re then put into registration phases, and typically if someone has attended Dîner en Blanc in the past or is a member, they will be in the first phase. Remaining people will sign up during the subsequent phases for their specific group and table leaders, and registration is always for two people. People don’t find out where the event is being held (and where they’ll be setting up their table, chairs and food) until the day of, right before the secret location is revealed. Once registered, attendees have to find everything they need for an elegant Dîner en Blanc gathering: a white outfit, white shoes, a table, white tablecloth, white chairs or non-white chairs covered by white chair covers, white linen napkins, white tableware and white decor for the table. The only non-white items allowed are the flatware and gold or silver accessories. Attendees are also responsible for bringing their own food, which typically consists of an appetizer, entree and dessert. And people don’t find out where the event is being held (and where they’ll be setting up their table, chairs and food) until the day of, right before the secret location is revealed. 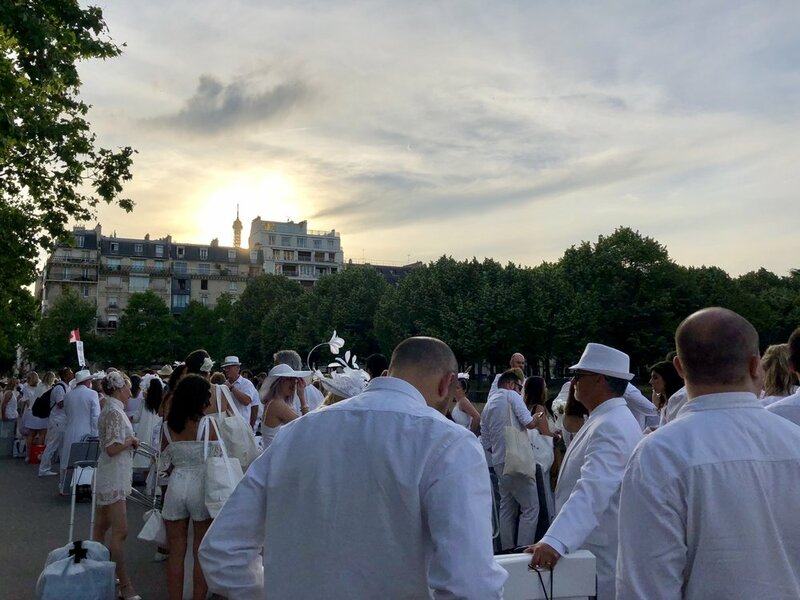 This year, Dîner en Blanc celebrated its 30th Anniversary in Paris by opening up its flagship event to the world. Several thousand spots were allotted to guests traveling from overseas to take part in the milestone celebration in the center of Paris. 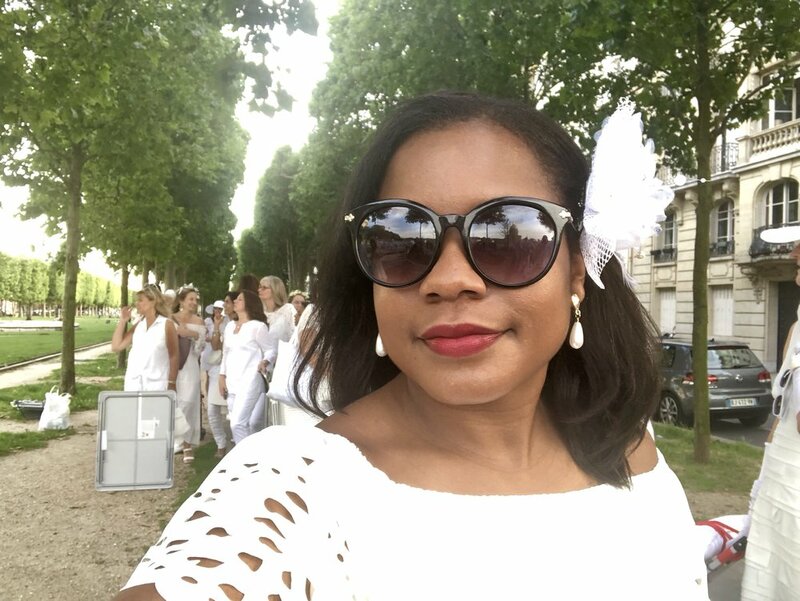 And then I decided to take a break, though several family members and friends of mine attended their own Dîner en Blanc in Miami, Florida and Kingston, Jamaica, so I still enjoyed the event vicariously through them. To attend Dîner en Blanc in one of my all-time favorite cities and in the place where it all started? How could I resist? It wasn’t until I saw the invitation for the 30th anniversary dinner in Paris earlier this year that I decided to try to go again. To attend Dîner en Blanc in one of my all-time favorite cities and in the place where it all started? How could I resist? It also helped that the celebration coincided perfectly with an already planned trip to Paris for the French Open. So, I signed up on the waiting list, crossed my fingers and waited. Months later I got the email to register. 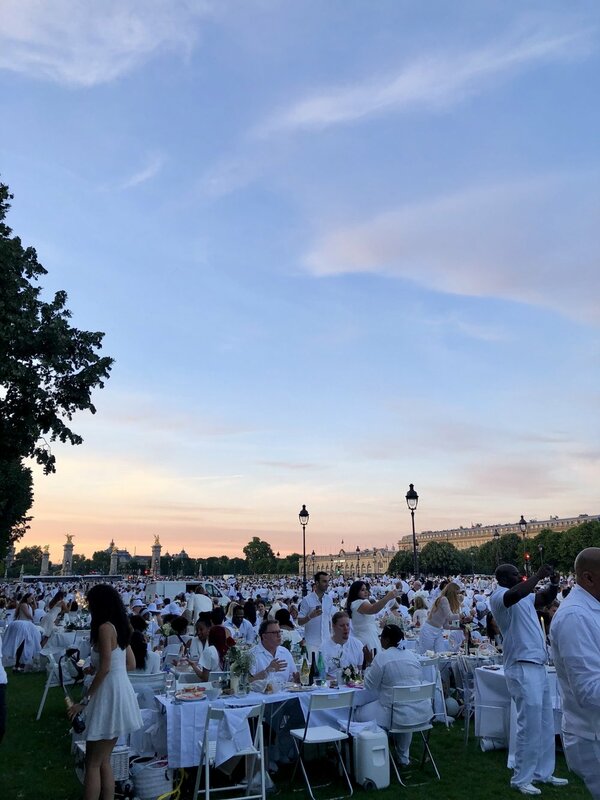 The Dîner en Blanc 30th Anniversary dinner took place on Sunday, June 3 on what could only be described as a perfect day, with 17,000 people in attendance, including 6,000 who traveled from overseas like me. After meeting with my group and table leader, we walked to the Esplanade des Invalides where thousands of people had already started setting up their tables. It was a wonderful way to celebrate 30 years of the heart of the Dîner en Blanc concept: friends coming together to share good food and great conversation in an elegant setting. Once the tables were set and the festivities started, with the waving of white napkins, the night unfolded with dinner shared by friends old and new, music, live performances, dancing, sparklers and a beautifully lit Eiffel Tower shining nearby. 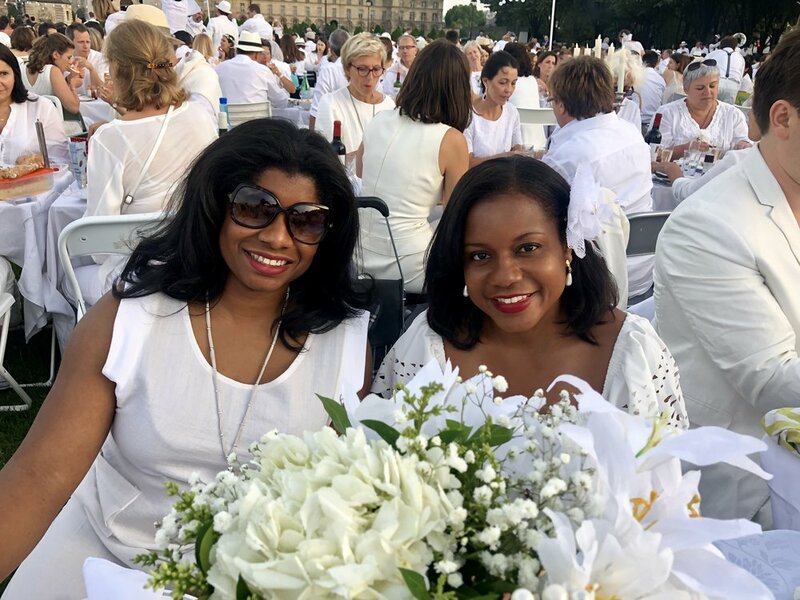 It was a wonderful way to celebrate 30 years of the heart of the Dîner en Blanc concept: friends coming together to share good food and great conversation in an elegant setting. Here are some of my favorite photos from the event. 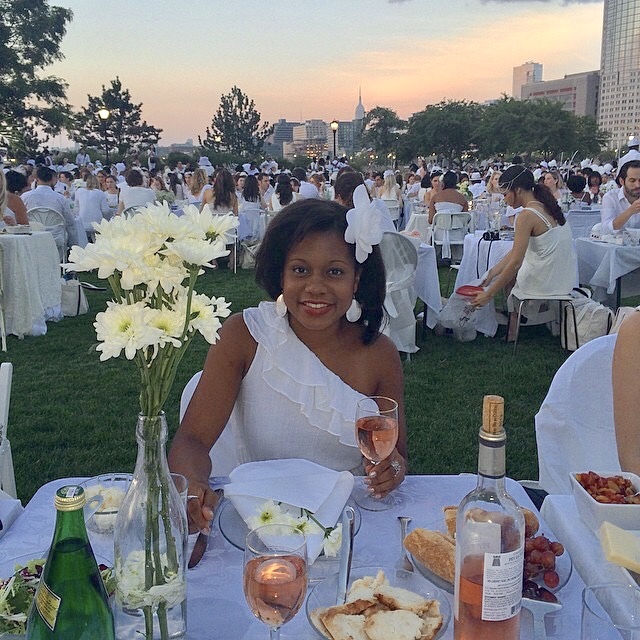 Have you ever attended Dîner en Blanc?